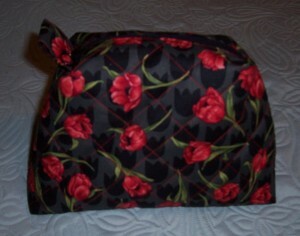 Finally, to complete the ensemble of travel bags I have made a quilted cosmetics/toilet bag. This is made to my own design – an “off the cuff, cut out and stitch” project. I used a standard construction method for the base and corners, there is a plain lining which conceals all the raw edges and seam allowances. 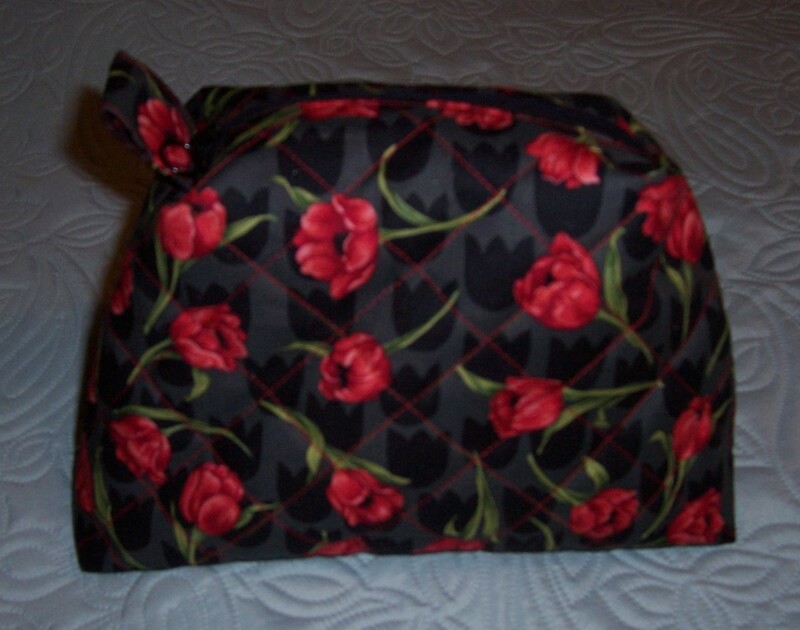 The bag measures approximately 10” across the base, 7” at the top and is 8” deep. Like Goldilocks and the 3 bears, this is just the right size for my toiletries.